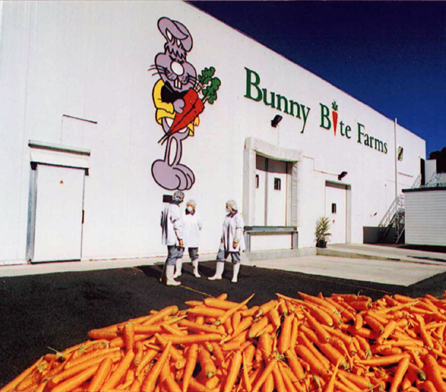 Bunny Bite Farms is a leading Queensland supplier of specialised vegetable ingredients to food manufacturers. 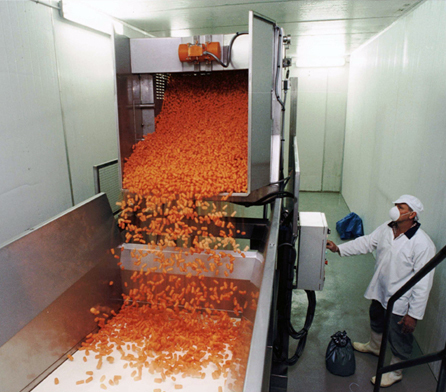 Bunny Bite Farms approached Wiley to design and construct a vegetable processing and packaging facility for processing premium carrots into ‘fresh-cut’ baby peeled carrots for marketing and distribution by The Harvest Group to supermarkets in Australia. The facility was to have the capacity to produce 50 packs of product a minute or 60 tonnes of packs per week. Liaising with offshore plant and machinery suppliers. Coordination of supply of European processing technology. Process design to achieve maximum throughput, low operating costs and target production rates. Inclusion of state-of-the-art ‘Scalime’ technology from Europe. Project management to complete the facility on time and within budget. This high quality facility allows low-cost production of an innovative product. By meeting their desired target rate, this result has strengthened Bunny Bite Farm’s growing position in the ‘fresh-cut’ food market.